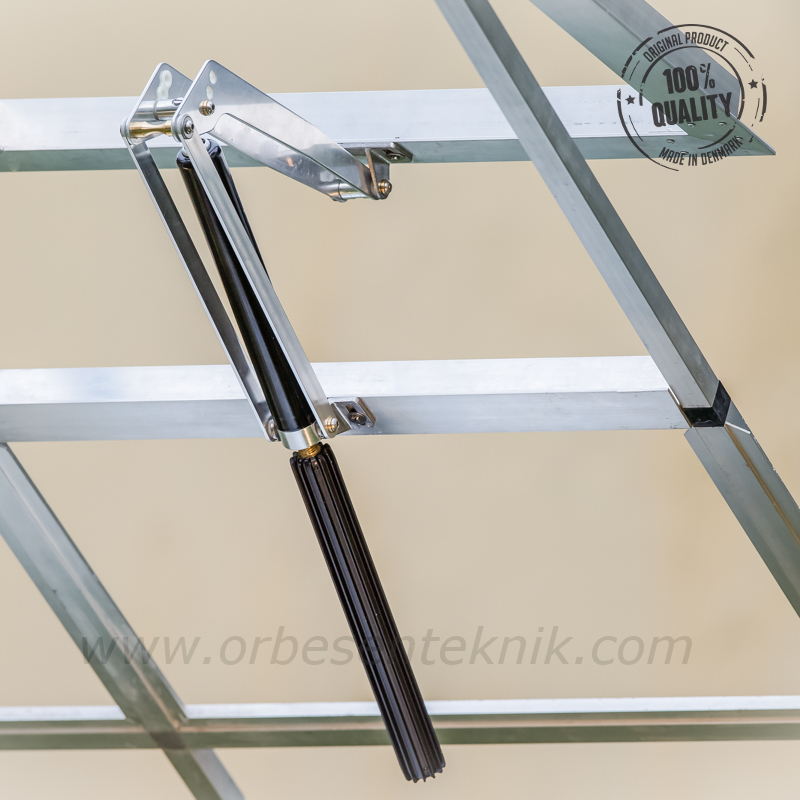 Due to the different window weights J. Orbesen Teknik ApS offers 3 kinds of window openers categories for skylight windows. 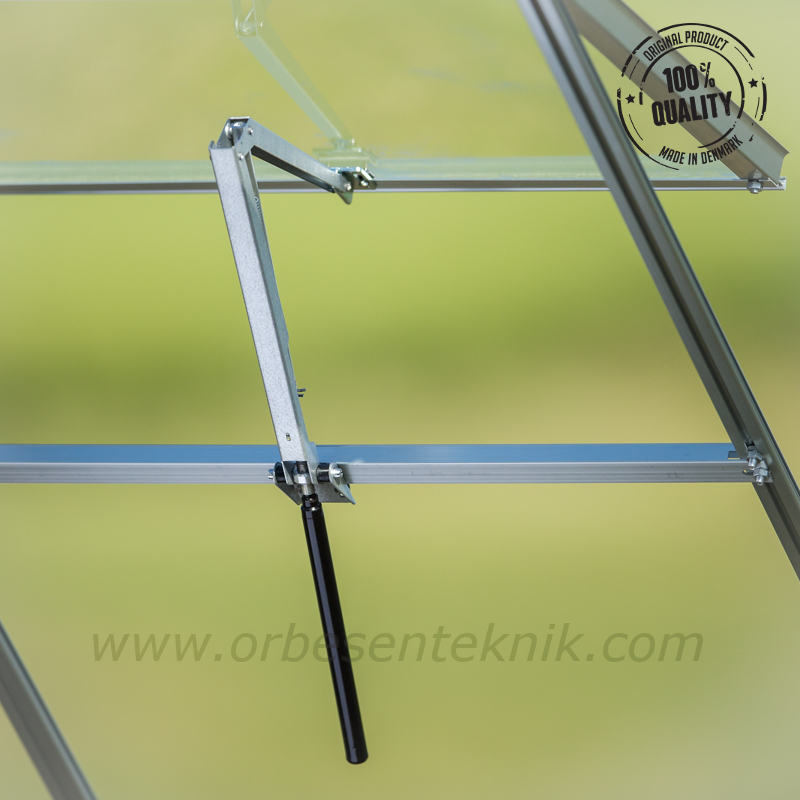 Which is Standard window openers (0-7 kg), Medium window openers (7-24 kg) & Maxi window opener (24-60 kg). Is manufactured in aluminium-zinc coated steel. It can handle a window uptil 7 kg and has a maximum opening stroke of 45 cm. Made in Denmark / 2 years warranty. Is manufactured in Electro galvanized steel. 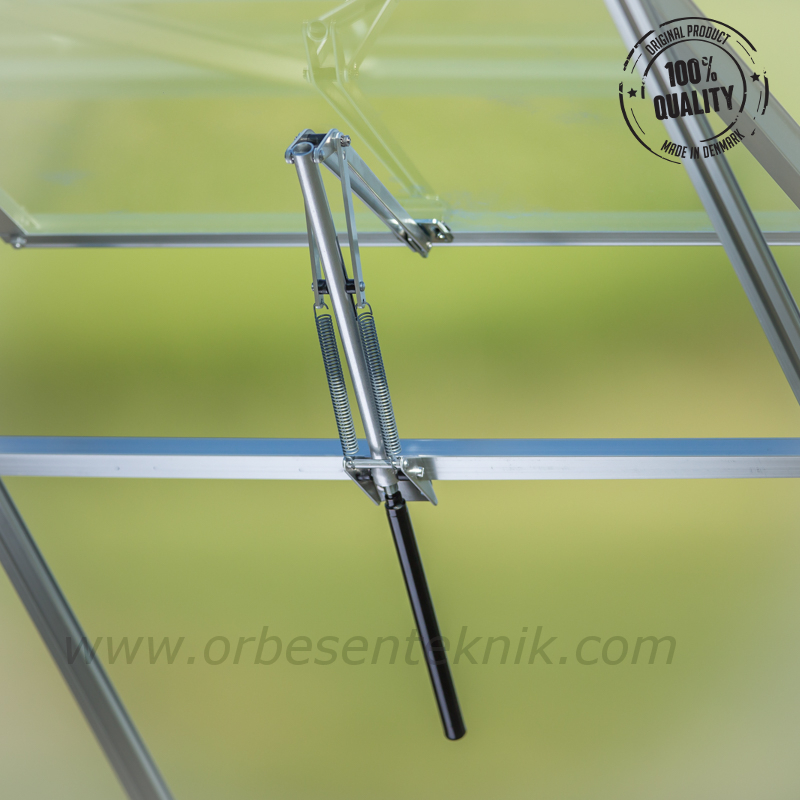 It keeps the hydraulic cylinder inside the greenhouse at all times, no matter the position of the window. Is manufactured in stainless steel and you can adjust the opening temperature in order to give your plants the right temperature. 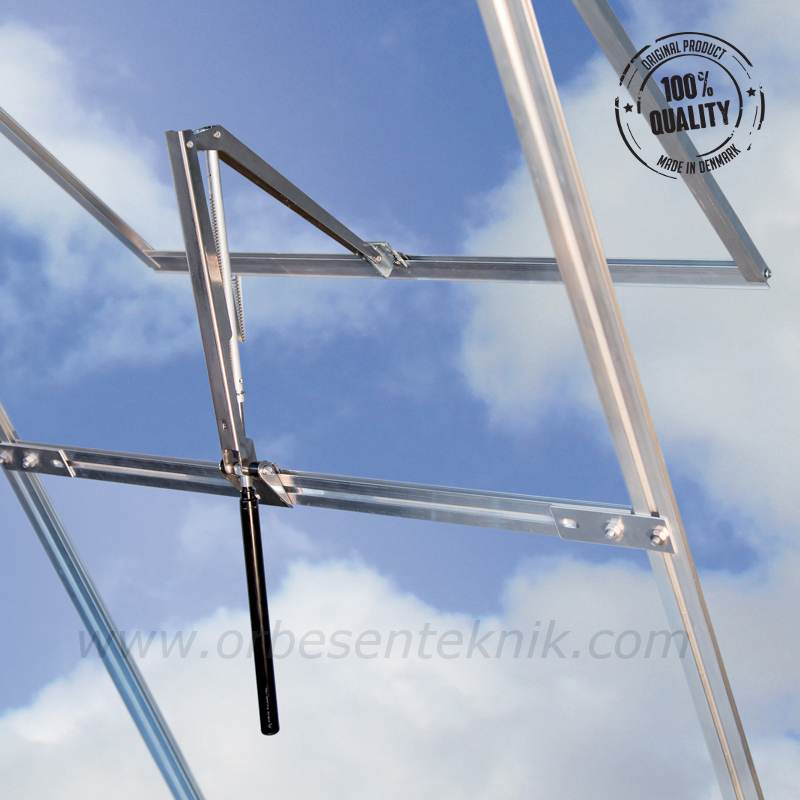 Is capable of opening side windows, skylight windows, sliding doors and cold frames. It uses the Classic hydraulic cylinder. 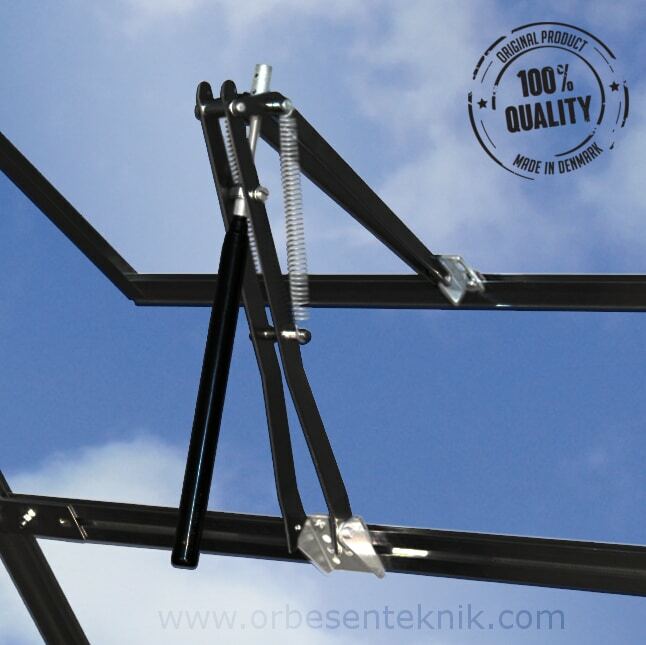 Is capable of opening side windows, skylight windows, sliding doors and cold frames. It uses the Classic hydralic cylinder. Is manufactured in aluminium. The piston rod is completely sealed off in an aluminium enclosure. Is applicable for dusty environments. 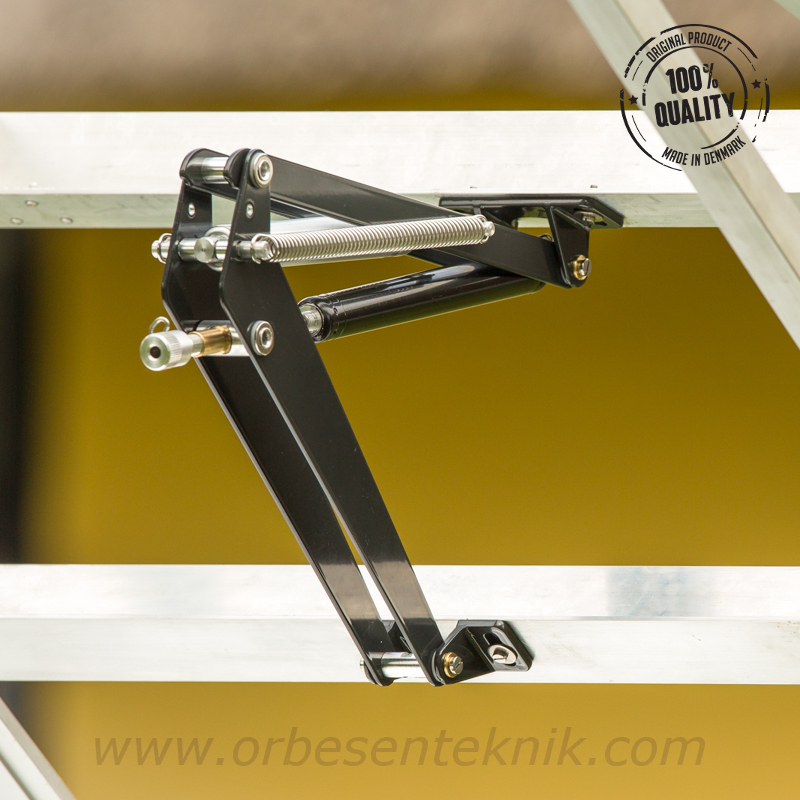 Is made of aluminum and can lift up to 70% more than our small window openers. Is applicable for windy gusts and strong winds. 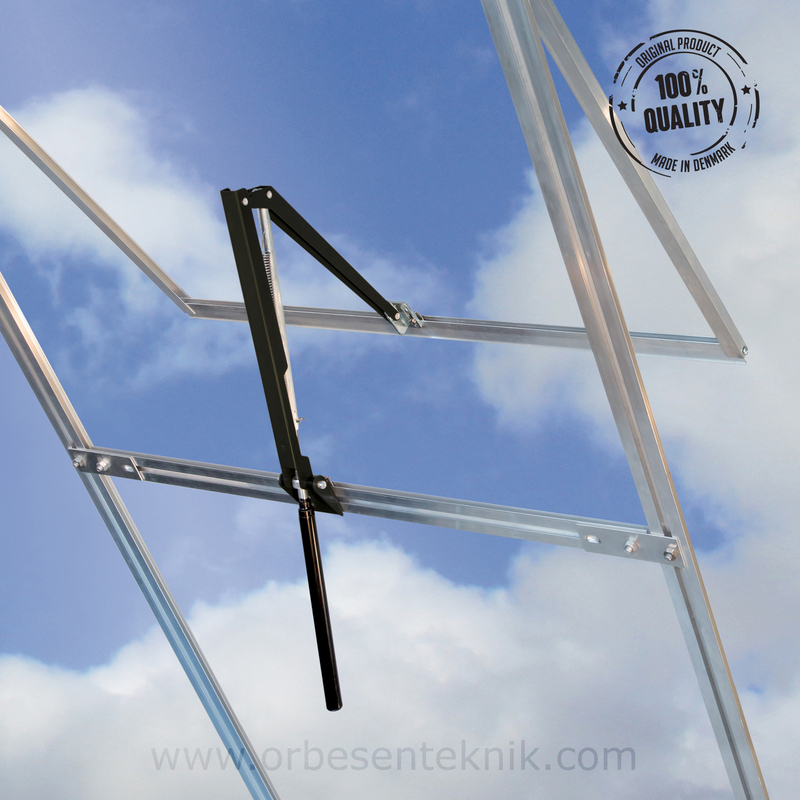 Is powerful and equipped with a shock absorber to prevent the window being ripped open by windy gusts or strong winds. 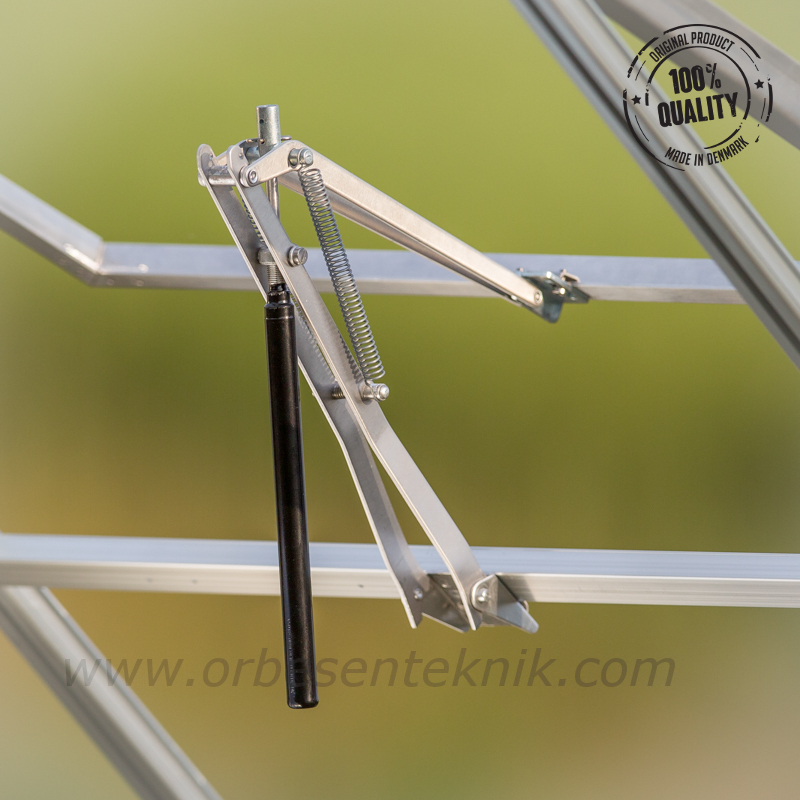 Is the largest and strongest window opener among all window openers. 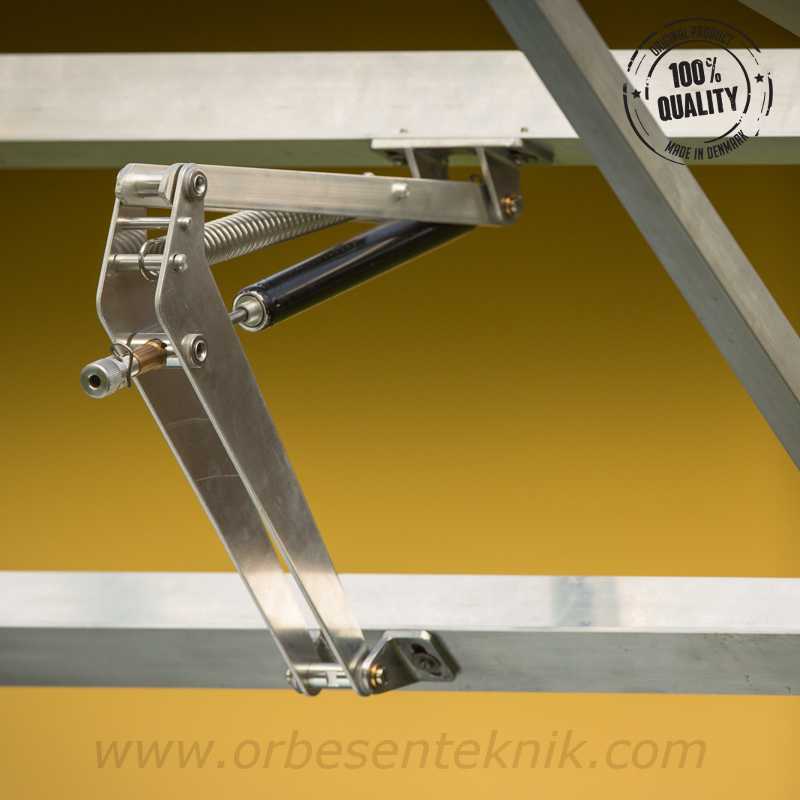 Due to its large hydraulic cylinder, it is capable of lifting heavy vents.